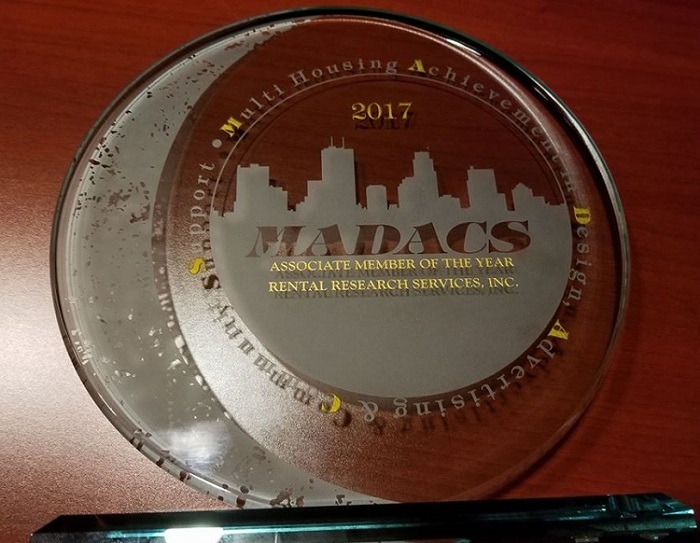 Rental Research Services: MHA MADACS Winner of the 2017 Associate Member of the Year! | Rental Research Services, Inc. Rental Research Services: MHA MADACS Winner of the 2017 Associate Member of the Year! Rental Research Services was the proud recipient of the MHA‘s MADACS Awards 2017 “Associate Member of the Year“. We were incredibly honored to be the winner, and we sincerely want to thank all of the staff at MHA for this prestigious award. We also want to extend a huge congratulations to all of the nominees and winners at last Friday’s event.